There are desert island discs and there are desert island bands. The difference? Longevity. Sure, those albums are going to appease you for the rest of your unfortunate life on the island but the band itself? That’s the one that will really sustain you. Sure, sometimes they overlap but more often than not they do not. I look at a band like Killing Joke, who are one of those types of bands for me, who released their 15th studio album and are currently in the midst of a 40th anniversary tour. Another band in the 15th album club and another of those types of bands for me is the focus of today’s review:Therapy? And like a sort of sonic comfort food, knowing that bands like those two exist in the world makes pretend life on a desert island (Or real life, for that matter) bearable. They’ve had straight heavy metal masterpieces (High Anxiety, Never Apologise Never Explain), experimentations with Pop (Semi-Detached, Shameless), iconic classics (Troublegum), and experimental thinkpieces (Nurse, Suicide Pact) and through it all, Therapy? has weathered the ever changing storm of the music industry over the years. Recently, Therapy? has been streamlining their sound with A Brief Crack Of Light and Disquiet being some of the all-time greats of their current offerings because of each having a hefty dose of experimentation infused within a honed heavy core That said, it’s no surprise that what you get with Cleave is ten perfect Therapy? tracks and a concise album that, with most songs barely lasting longer than three minutes, still manages to make an impact with that brief time in your earholes. Kind of like if Never Apologise… was made today. Hard and visceral from the onset of “Wreck It Like Beckett”, Therapy?’s fifteenth studio album gets off to a familiar but still raucous start. “Katistocracy” is a bludgeoning three minutes of signature Therapy? beats and riffage with a repeated manic refrain from main man Andy Cairns declaring “It’s okay not to be okay” while first single “Callow” is much more comfortable in the confines of Cleave, standing out as yet more proof that Therapy? know how to develop compelling singles. “Expelled” is the next great Therapy? banger/anthem with Cairns’ screaming guitar with these sinister overtones as Neil Cooper absolutely pummels along behind the kit. “Success? Success Is Survival” is all swirling guitars and Cairns’ hypnotic delivery lulling you into a false sense of security before his scream heralds another triumphant and powerful chorus before “Save Me From The Ordinary” enters and is veritable Therapy? incarnate built on a huge groove and this fuzzed out, almost Claypool-esque, bass noise from Michael McKeegan. “Crutch” is like the sensitive sister of “Tides” (From Disquiet) and “I Stand Alone” is another built off McKeegan’s bass thumping until Cairns and Cooper crash the party with a barrage of riffs and percussive accents as Cairns switches from a soothing swoon to his iconic wail on the chorus while “Dumbdown” is exactly the kind of throbbing and thrashing you’d expect from a song with a name like that. “No Sunshine” is seemingly the first to slow down the album and also happens to be the last track. But your ears deceive you! Like a cross between “War Pigs” and Queens of the Stone Age, the track sonically attacks on all fronts giving listeners a proper end to a stunning album. Cleave will be unleashed on September 21st through Marshall Records. Pre-orders are available now through Pledgemusic. For the latest and greatest on Therapy? and where to catch them live, head on over here. 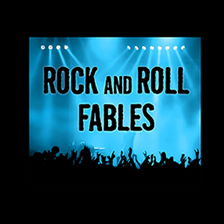 Filed Under: Album Reviews, Music, New Releases, Rock And Roll Fables Tagged With: Andy Cairns, Cleave, Marshall Records, Michael McKeegan, Neil Cooper, Pledgemusic, Rock And Roll Fables, Therapy?